Travis' four-week post-op appointment was a success, setting the stage for the veteran second baseman to return to physical activities. Travis was expected to miss 4-6 weeks after undergoing arthroscopic knee surgery in mid-March, but it appears he'll need more time to complete his recovery. 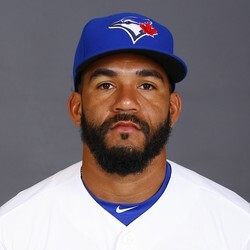 When he returns, the oft-injured infielder could end up sharing time with Lourdes Gurriel Jr. at second.